The city of Kurukshetra occupies a very important role in the history of India and is thus, one of the favorite hot spots of tourists. If you are looking for comfort at a pocket friendly rate then Hotel Saffron can be your best choice. The interiors of the hotel are “Indianised”, with the base color being the one glorifying the rich Indian past. The royal furniture and décor of the hotel is a treat to any visitor. The hotel also provides an ample parking space. Being easily accessible from the bus stand and the railway station, Hotel saffron is the talk of the town. The hotel offers three halls for organizing important events like weeding, reception, conference, kitty parties and business meetings. Hall 3 is gigantic and can accommodate some 700 people while Hall 1 can accommodate just about 100 people. The hotel also provides with a plush green lawn which is a paradise for all the nature lovers. It even provides for a covered lawn for in house parties. You can avail these rooms for at a rock – bottom price. Providing world- class amenities these rooms boast some of the finest interiors you will see in the city. The rooms are very royal and the furniture is extremely classy. Get ready to sink into a king size bed with an A one quality comforter. Coming on to the bathrooms, they are very clean and huge. Each one has a bath tub where you can take a bubble bath and relax your muscles. 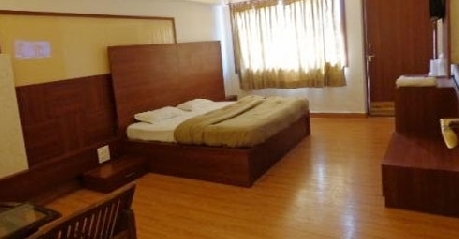 The services include 24 x 7 room services, laundry and dry cleaning services, WIFI connectivity, a TV, all types of travel assistance, doctor on call etc. The hotel will also arrange for a pick and drop can facility on request. 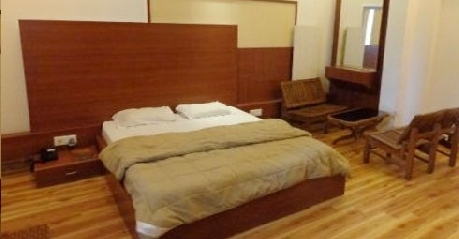 You can avail the super deluxe rooms at an extremely nominal price. Talking about the interiors, these rooms are equally magnificent as the executive class. The fresh flowers featured in the room rejuvenate the mind and the soul. The rooms also contain a separate dressing area just outside the bathroom featuring a very classy mirror. The rooms also have a very comfortable couch. The rooms are spacious and the wardrobe is capacious. 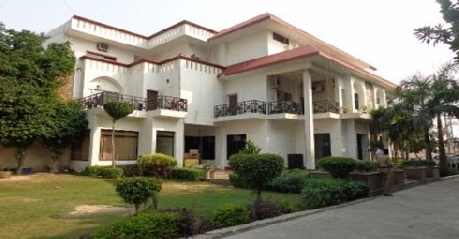 The services include 24 x 7 room services, laundry and dry cleaning services, WIFI connectivity, a TV, all types of travel assistance, doctor on call etc. You can get these rooms at a very inexpensive rate. But hey the quality of services is still superb. The rooms are quite big and spacious. The furniture is elegant. The beds are huge with cozy mattresses. The services include 24 x 7 room services, laundry and dry cleaning services, WIFI connectivity, a TV, all types of travel assistance, doctor on call etc. A multi – cuisine restaurant, The Mocktail provides finger licking delicacies from all over the India and China. The local “Haryanavi” dishes are a must try. If you are a butter chicken fan, then this is the place. The staff is very courteous and cooperative. They will even arrange for a candle light dinner with your beloved on request. The supervisor is an extremely warm person. He will make sure your food reaches your table on time. The complete ambience of the restaurant is outstanding and thus, you will relish your food as well your stay at this hotel.